Please give a warm welcome to Mary Marcus, my friend and fellow author. She writes romance and occasionally a wonderful middle grade book, like the one we are highlighting today – The Digger. I’ve known Mary for a couple of years now and used to be in a critique group with her. She’s a fabulous person and a great story teller. My granddaughter has read The Digger and loved it! She’s 9 yrs old and loved the premise of the girl, her dog, and a mystery to solve. 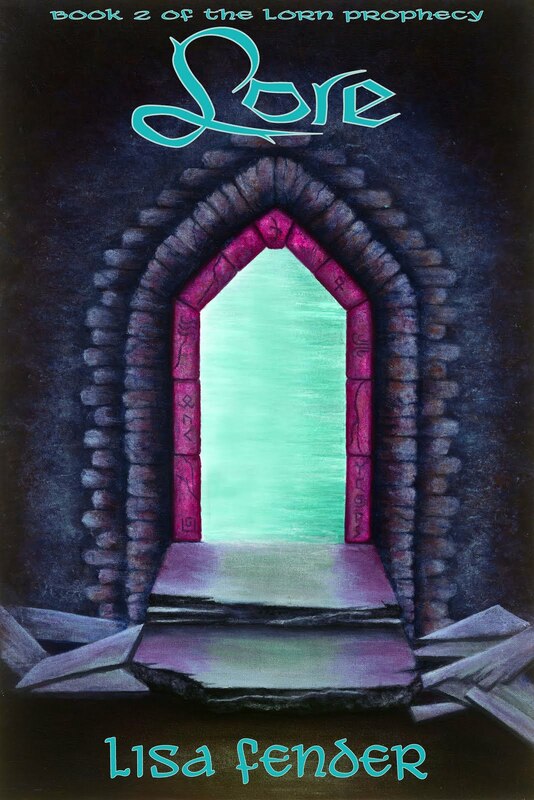 If you know or have kids in your life who enjoy reading, they will love this book. I would say third grade to sixth grade is the perfect age for this wonderful adventure. Mary has agreed to join us and tell us about herself and her writing and we will leave the information at the bottom of the interview for you to purchase her book and where you can reach her. She has also agreed to do a drawing for those of you who leave comments or questions for a free copy of The Digger so make sure to get your name in there! So grab a cup of coffee and sit back and enjoy Mary’s guest post. Mary, what got you in this crazy writing business? I’ve always been a big reader. Writing seemed to follow naturally. I didn’t write as a career until my early thirties when I got a job as a newspaper reporter and editor. I loved it, but the hours were long so, after five years, I had to give it up. About that time, I wanted to try writing fiction. But, writing fiction is nothing like writing news stories and feature articles. There’s a certain structure to narrative; for starters, narrative has a beginning, middle and end. Putting a story together logically is not simple. It took me a long, long time to learn. While I was learning, fiction writing wasn’t as fun as it is now. Tell us about you and your writing. My first published novel was His Second Choice, a romance published by Red Rose Publishing. 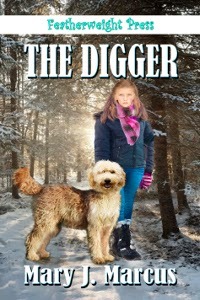 Next came The Digger, a Middle Grade mystery which was published by Featherweight Press. Lonely at the Top, a sequel to the first romance, is finished and in search of a publisher. What is your favorite genre for reading and why? I love a good mystery novel with a touch of romance. These novels seem to engage your puzzle-loving mind without sacrificing character development or the love story. Lisa Scottoline and Deborah Crombie are very good. I’ve just read a riveting courtroom drama, Apple Tree Yard, by Louise Doughty. What coming up in the writing world of Mary? I’m writing a romantic suspense novel titled Time Capsule Killer. It’s a story set in mythical Hogan, Colorado, centering on the deaths of two Hogan women who were graduating seniors in 1965. Detective Lena Hargrove believes the two deaths are linked to a cold case from that year. Her challenge is to overcome the doubts of her boss and of the political elite of the town to solve the murders. This is not a where question it’s a how question. I love trains. Put me on a passenger train anywhere in the world and I’m happy. I don’t know why I love trains so much. When my daughter was five years old, we happened to be on a train traveling from London to Shrewsbury on New Year’s Day. Long story. Anyway, we were the only passengers on the train. To keep my daughter from being too bored, I started writing a story using her crayons and drawing paper. The conductor, who was apparently also bored, came over and sat down. The three of us wrote a fantastic children’s story. Good things happen on trains. I recently traveled to the Loire Valley in France. There’s nothing crazy about that. The Loire Valley is a beautiful part of central France where tourists can visit great chateaux. What I did that was crazy was to rent a car. First off, most of the cars over there have stick shifts. That was a challenge in itself. Throw in the narrow, medieval streets that undergo a name change every six blocks or so. Also, the French favor those roundabouts that leave you dizzy and confused. I don’t know much French, but I got used to shouting at strangers: “Je suis perdu! Je suis perdu! I am so lost.” Fortunately, French people seem to have a sense of humor and are willing to help. Thanks Mary for answering my questions and being a guest on my blog! You’ve been a trooper! Make sure to leave a comment so you can join in on the drawing for a copy of The Digger! 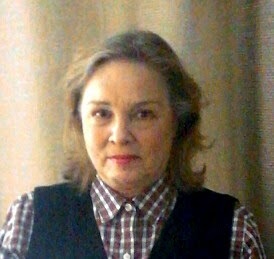 I have been a newspaper reporter and editor, an ad copywriter, a college professor and a high school teacher. But, never have I really been anything other than a story-teller. It has taken me a while to realize my true calling. Like storytellers everywhere, I hope to catch The Big One. By that, I mean I wish to wake up one morning with a great, I mean, a really great, story lodged in the net of my imagination. The Digger, a young adult mystery, is my second published novel. His Second Choice is a contemporary romance set in the Bahamas. I sat on a park bench in my new town of Hogan, Colorado. While I’d been sitting there, the sky turned from bright blue to denim, with a ribbon of gold lining the purple mountains. A duck pond stretched out in front of me, with a jogging path circling around it. The park was pretty enough to be a file on Flickr, so why did I feel so bad? Because I didn’t belong in Colorado, that’s why. We—my mom and I—had been living in this town for just two weeks. It sure didn’t feel like home. North Carolina felt like home. Two little girls, a toddler and her older sister, ran up to some ducks swimming near the bank and tossed pieces of bread at them. The girls’ mom and dad sat on a blanket nearby and put away picnic things. A sharp breeze rustled up golden leaves on the ground and danced them around tree trunks. I thought of my dad and got all sad. He used to take me to the park when I was little and he was home on leave. But Afghanistan is on the other side of the world. It sucked having my dad over there, even if his job was important. My friends would’ve made me feel better, but they were on the East Coast. They always made me feel better when I was down. Also, my friends were fine with how I looked—freckles across my nose, my hair the color of a brown paper bag, and a pencil-thin, twelve-year-old body that wouldn’t fill out no matter how much I ate. Tears welled in my eyes, but I blinked them away. My dad said you don’t gain anything by feeling sorry for yourself. I looked up and saw the girls and their mom and dad gathering up their blanket to leave. To my right, two high-school-age boys finished their tennis match and walked off toward a parked car. Brrrr. The chilly breeze ruffled my hair. My cell phone beeped. I pulled it out of my pocket and read a text. Dark? I looked at the sky and could still make out the mountain ridge, so it wasn’t actually dark. Only getting dark. Guess I wasn’t the only one in my family who exaggerated. But I couldn’t win an argument with my mom, so I got up to go home. I would need to walk around the tennis court to reach the street, and then on to my house. But that was the long way around, and I was in kind of a hurry. A much quicker way would be to cut through a grove of trees on a strip of land that lay on the other side of a wooden fence. I shifted from one foot to the other, thinking that the area sure wasn’t developed yet so there might be critters in there. My Uncle John, who was partly the reason we moved to Hogan, warned me that wild animals—foxes, coyotes, and such—could sometimes be spotted in town. It’s because they get hungry and can’t find anything to eat in the wild. No problem. I listened because my mom’s brother is Hogan’s police chief. He should know what goes on in the town. My sadness went away a little as I jumped over the fence, took a dirt path leading into the grove of trees, and thought how much my dad would like it. Later, I realized that everything would have turned out differently if I’d done the smart thing and gone the long way around. Don't forget to leave Mary a comment and she will get back to you! Once you do you will be entered into the drawing for a copy of The Digger!! Thanks again Mary and thanks to my readers joining in!! Thanks. Sorry about the delay. Lisa, love this blog. Thanks Mary! you should join up! I thought I did, but you know about my tech skills. Thanks for allowing me to appear on your blog. Once I got in, this has been fun. 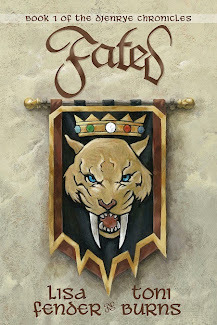 BTW, I'm deep into reading Fable. Isn't everyone? Wonderful!! 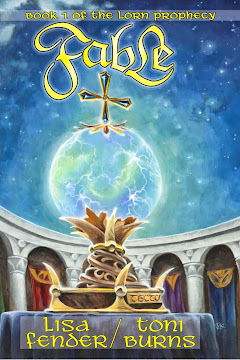 I'm glad your reading Fable! Let me know what you think!! I am Lisa's daughter, and I wanted to take a moment to tell you how much my daughter loved reading the Digger. It was nice to see her reading something on her own that had depth and storyline outside of the books she and I read together. I love seeing her branching out to something besides the dork diary books! thank you for writing such an interesting and mysterious book that grabbed the attention of my little reader! I hope to see more from you! That is the best compliment! Thank you and thank her. I love hearing that someone enjoyed the book. With all your traveling, do you anticipate writing something with a foreign setting? I'm also curious how your reporting career influenced your choice of genre? Yes, I'd love to write using a foreign setting. Actually, I may have an idea for a story in Paris. When I was there someone said that in certain neighborhoods the Paris police won't come if you call them. That started the juices flowing. There is such a contrast between rich and poor there. Also very interesting. Mary's journey and how she started writing, I cant wait to read your books, especially Alone at the Top. It will get published. Thanks, Jodi. And, I agree that Lisa's doing great blogging. Great interview, Lisa. Nice meeting you, Mary. Love your enclosed chapter. I also love trains. Have ridden them through out the US. While stationed in Germany, I had the privilege of visiting France, especially Paris, six times, and thank God, I speak some French. Yes, I did take the train. A very enlightening interview. I wish you the best. Blessings. Thanks Johnny, I'm glad you liked it! I haven't ridden in a train for years but I do like them too. I've often thought of taking the train to some mountain destination. My parents took it and loved it. The only thing is, I smoke. I don't think I would be happy going that long without smoking lol! Nice to meet you, Johnny. Thanks for the kind words. You're so lucky to have been able to travel that much. I'm envious. Best of luck in future travels. I'm working on an adult mystery using some of the same characters and the mythical town of Hogan, Colorado. Hope to have it finished in a couple of months. Good luck on your next book in the series which I understand you're hard at work on. Thanks for the compliment. I may need to reprise good old Cammie and her dog Dusty at some point.